I made a bunch of insim t-shirts when I first started recoloring. Well, after going back, I figured I'd give them an update. So here they are! Available in more than 1 color, unlike my AF insim t-shirt. lol. The mesh is an TF untuckable mesh by migamoo from MTS. For the baseball tee, I used a texture by Fishie, right here. 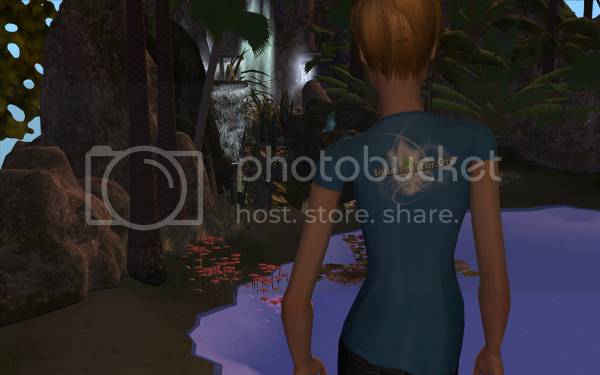 These t-shirts are great for conquering waterfalls! Playing catch next to precariously high cliffs! And digging holes in paradise! heh heh, Tell me what you think! You must, must upload that lot!! It is soo beautiful! plus my angel sims are living on it. I'll think about it. Lol, there is no house. It's a bit of just a scenic lot. Overlooks pleasantview, and has waterfalling cliffs. It's only a 2x3 lot, so I don't think I'll have room. Lol did you know you can put lots up on those cliffs in pleasantview? But enough about the lot, this thread's about the shirts! 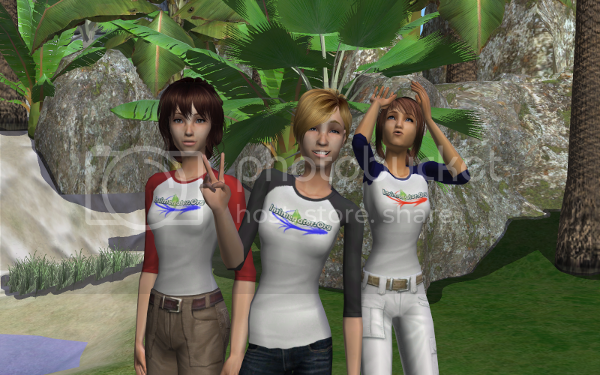 I was wondering if I could have somebody convert these outfits to TS3 for me. If that is possible please let me know.